As SP Emma Bowd disappears into her writers’ cave to commence her next novel, she leaves us with this truly lovely little Shoe Video – High Heel Confidential – jam packed with fascinating shoe ‘goss’ for the shoe enthusiast and interviews with the likes of Manolo Blahnik and Stefano Ferragamo. The video’s quite long, at 40 plus minutes…so find a quiet moment, put your feet up and enjoy! Not only has he designed the most divine selection of shoe-inspired gifts baring his signature drawings, but he’s also made exquisite shoes exclusively for Liberty – having painstakingly researched their magnificent fabric catalogues for inspiration. For those SPs lucky enough to be London-bound, have fun! 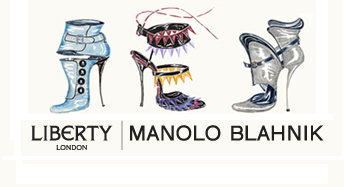 For the rest of us, click here for the full range in Liberty’s World of Manolo. 1. Full marks for initiative to junior SP of Hong Kong, aged 9 years, who sawed off the 9cm heels on her mother’s Manolos so that she could wear them. 2. SP of Paris only ever wears skyscraper Manolos and drinks champagne during long-haul flights. Vowing that it prevents jetlag and always makes the destination city look more interesting. 3. Go sister! A Spanish nun was sentenced to community service after embezzling school-library funds and spending them on 30 pairs of Manolos. 4. SP of St Petersburg highly recommends Manolos to inject spice into the bedroom – ever since her boyfriend started wearing them. 5. It must be love! Cape Town model and SP put 200 pairs of Manolos up for sale on eBay after her boyfriend refused to move in with her unless she halved her shoe collection. My thanks to the divine Chuck and his stunning team at Dymocks for their wonderful hospitality at a book-signing today! As always, SP Emma Bowd and I had much fun chatting with an array of lovely Shoe Princesses and hearing their wonderful shoe stories! My darling Shoe Princesses, have I got an adorable story for you! Sent in today by the divine SP Lorraine – formerly a steadfast Cinderella SP but now, thanks to a purple suede pair of strappy Manolo Blahnik stilettos purchased at her local thrift shop (!) a very happy Recessionista SP. 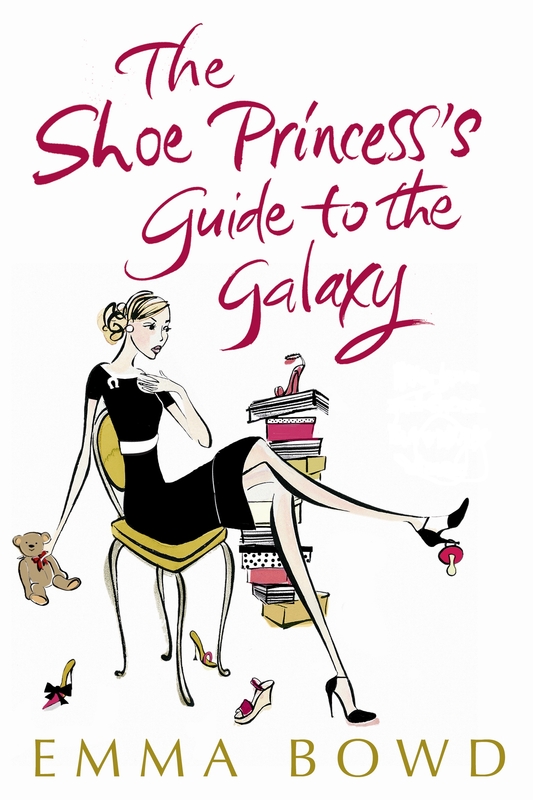 *More magnificent shoe illustrations by Venetia Sarll can be found in SP Emma Bowd’s novel The Shoe Princess’s Guide to the Galaxy (Australia; UK).